Easy to Learn Korean 1492 – Good relationship with teacher (part two). 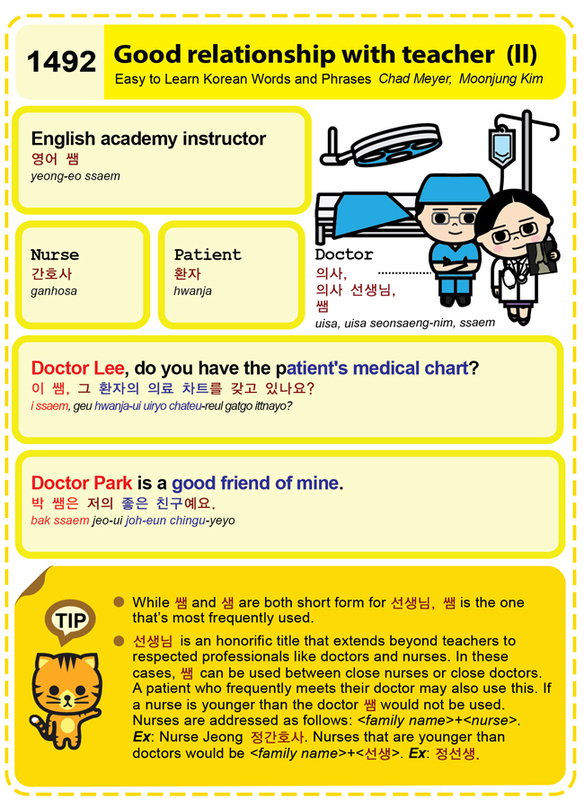 Easy to Learn Korean 1204 – Bogus patient. 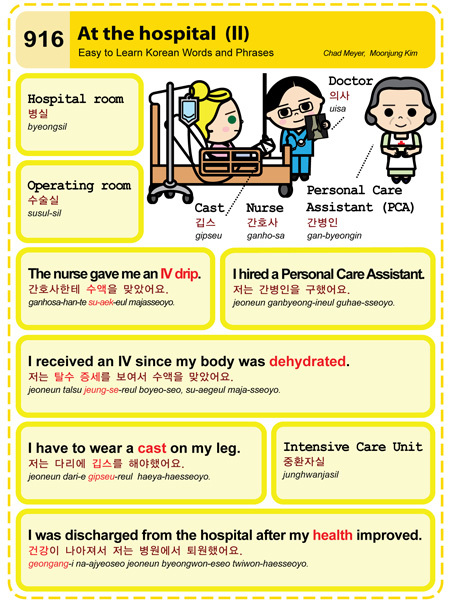 Easy to Learn Korean 916 – At the Hospital (Part Two). South Korean doctors have linked a new type of dementia to the overuse of smartphones and tablets. (Using a smartphone/device for more than 7 hours per day constitutes overuse.) Emotional issues are also categorized as a symptom of gadget addiction.